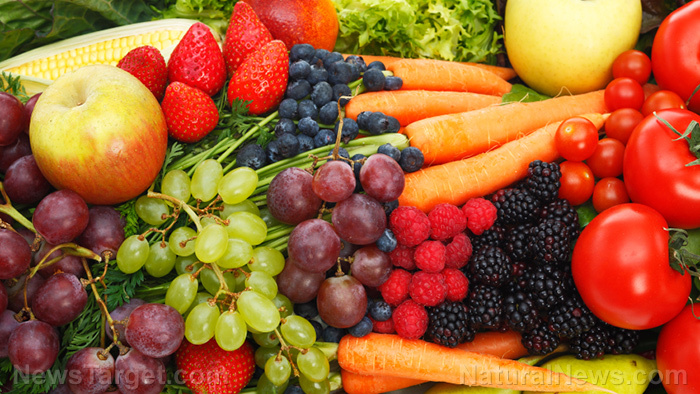 (Natural News) Research from the World Health Organization (WHO) reveals that less than half of teenagers in the U.K. consumed fruits and vegetables on a daily basis. Between 2002 and 2014, only 39 percent of those aged 11, 13, and 15 ate fruits every day while 41 percent ate vegetables daily. The 12-year study also found that young people did not consume as much sweets and fizzy drinks as they did 15 years ago. However, a significant number of adolescents — a quarter in England and Wales and a third in Scotland — still eat sugary snacks and beverages. “Within the U.K., we found an overall decline in the consumption of sweets and sugary soft drinks, which is encouraging,” said Dr. Jo Inchley, Assistant Director of the Child and Adolescent Health Research Unit at the University of St. Andrews. However, the findings also showed that young people ate less fruits and vegetables as they got older. Fruits and vegetables are vital ingredients to a healthy diet. They offer essential vitamins and minerals that are crucial to carrying out important functions in the body. The lack of these nutrients can result in vitamin deficiency and may increase your risk of disease. A study conducted by scientists at the Imperial College London found that increasing fruit and vegetable intake may prevent millions of premature deaths. It highlighted the benefits of eating at least five portions of fruits and vegetables daily in minimizing the risks of heart attacks, stroke, cancer, and an early death. According to the research team, eating 10 portions (800 g) of fruits and vegetables daily could prevent as many as 7.8 million premature deaths worldwide. Including just two-and-a-half portions (200 g) of fruits and vegetable in your daily intake can reduce the risk of heart disease by 16 percent. It could also potentially minimize strokes by 18 percent and cardiovascular diseases by 13 percent. Increasing your intake will provide further benefits. According to the study, 10 portions will result in the following: 24 percent reduced risk of heart disease, 33 percent reduced risk of stroke, 13 percent reduced risk of total cancer, 28 percent reduced risk of cardiovascular disease, and 31 percent reduced risk of premature death. “Fruit and vegetables have been shown to reduce cholesterol levels, blood pressure, and to boost the health of our blood vessels and immune system.” said Dr. Dagfinn Aune, lead author of the research. He added that fruits and vegetables contain many antioxidants that may help in reducing DNA damage. Compounds called glucosinolates found in vegetables like broccoli are said to activate cancer-preventing enzymes. Additionally, they may have beneficial effects on the natural bacteria in our gut. Fruits and vegetables can provide your body the nutrients it needs without the excess calories. These healthier alternatives help prevent weight gain. The WHO report gave importance to the increase in obesity across Europe. It showed that 1.4 million of adolescents are obese. According to researchers, with the huge number of obese children worldwide, preventative measures are required even at an early age. But despite continued efforts to curb obesity, one in three teenagers in Europe is still overweight. Dr. Zsuzsanna Jakab, WHO Regional Director for Europe, said that the highest rates of adolescent obesity are found in Southern Europe and Mediterranean countries. The good news is, all is not lost. The reduced number of people who consume sweets is encouraging and shows that it is possible to make healthier choices. It’s not too late to stay fit and adopt healthier eating habits, so sprinkle some fruits and vegetables in your plate now. Your future self will thank you for it.